Most of us cannot live an hour without Facebook, let alone an hour; we log in with our iPhone, BlackBerry, Androids, and even regular phones now support Facebook. Realizing that fact, Delta Airlines make it possible for people to now check in to flights with via Facebook application. Last year Delta Airlines launched their mobile application which allows users to book their flight directly via the application; their Ticket Counter application also allows the user to check their mileage and see which amenities are available on the flight.Their mobile applications is very useful in terms of letting users check in to flights and get the flight status, integrating it with Facebook, however, makes checking in to flights even easier considering the fact that people are always on Facebook at one point or another. 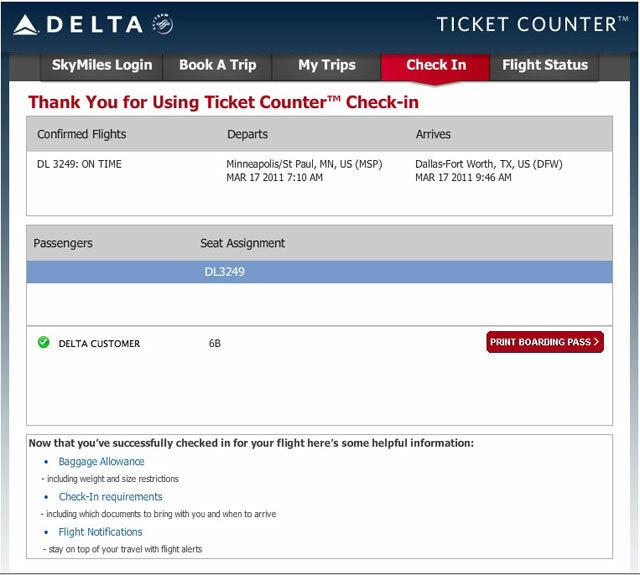 With SkyMiles application on Facebook, customers not only can check in to flights and get their flight status but they can also print and share their itinerary with their friends and family via Facebook itself. In addition, you can also book and buy your tickets with Facebook, now doesn’t that tickle your Facebook fantasy. Do you think Singapore Airlines would ever come up with something like that? If they do, would you be one that book, buy, check in, share, and print your flight details via Facebook?